According to a July 24th, 2015, article in the Washington Post, each and every day 10,000 Baby Boomers retire. Yes, we all eventually stop working. But when boomers retire, there are some unique differences from generations that came before. Okay, maybe once you retire you are actually going to set about building the better mousetrap. According to a May 5, 2015, article in Forbes, 51 percent of full-time and part-time employees plan to keep working, at least part-time, in retirement. If you want a part-time gig, where, for all intents and purposes, you are self-employed (and your boss won’t yell at you), consider ridesharing. According to Uber, a seven-year old San Francisco-based company that is valued at over $40 billion (think taxicabs, only with an automatic billing system [no cash], no anonymous fares [every rider’s information is on file), and a rating system that helps ensure professionalism from both driver and passenger]. 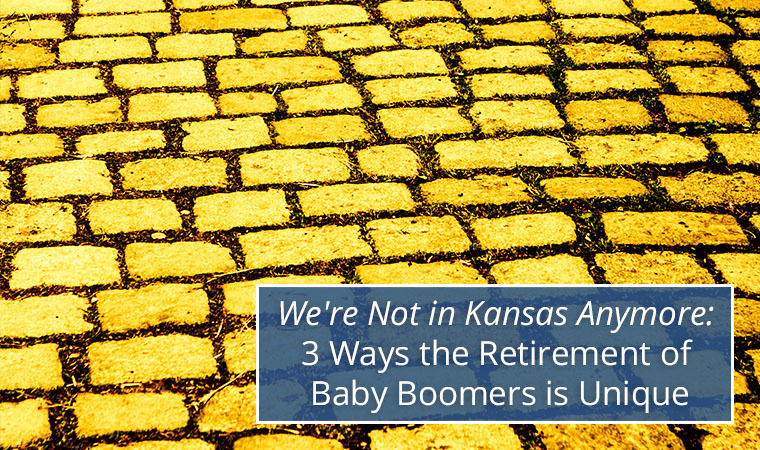 Q: How has Uber changed the retirement of Baby Boomers? So you’re going to retire? With potentially 30 years, or more, of life ahead of you, almost no matter how much you’ve saved, first, you’ll want your money to work for you and earn income, and, second, of course you’ll want to lower costs whenever you can. But what was all that hard work for if you can’t do the things you love? If travel is your passion, there are companies out there that have enhanced the lives of modern retirees. Q: How have home rental companies changed the retirement of Baby Boomers? Companies such as San Francisco-based Airbnb—an online marketplace that allows people to list or rent vacation homes in more than 34,000 cities worldwide—have made travel more comfortable and cheaper for retirees. According to an April 20th, 2016, article in Marketing Week magazine, home rental sites have mitigated many of the biggest complaints (expensive, dirty or noisy hotel rooms), people had about traveling and retirement. A whopping 42 percent of people who answered the survey reported their retirement travel had been enhanced and they had saved money by renting a house (instead of staying in a hotel). According to an October 2015 article in USA Today, the average female lifespan is now 81 years. According to AARP, 70 percent of surveyed Baby Boomers said they expected to have a significantly “improved” retirement experience versus that of their parents. This could include more travel, elective entrepreneurship (according to AARP, 21 percent of new businesses in 2015 were founded by “retirees”), and volunteerism. Q: How has “purpose” changed the retirement of Baby Boomers? Many of the people who will retire in the next ten years were “children” of the 60s, meaning they came of age at a time of great political and social awakening. More boomers have graduated from college than any other generation in history. According to Marketwatch, 18 million adults aged 60 and up contributed more than 3 billion hours of community service in 2015. Not. Too. Shabby. Boomers challenged the status quo in their youth, and they intend to erase all the clichés about what it means to be a “senior” citizen in America. From music, to politics, to exploration and technology, the 76 million people born between 1946 and 1964 are in many ways the face of America. It’s clear that retirement for this group will be different from any before it, and that they will need to plan well to make the most of it. At Hanson McClain, we know very well what it takes to live well in retirement. Your journey is in full swing. Don’t let the stress, emotion and responsibility of managing your portfolio detract (or even ruin) what should be the best time of your life. Contact us today and let us help you keep the good times going.